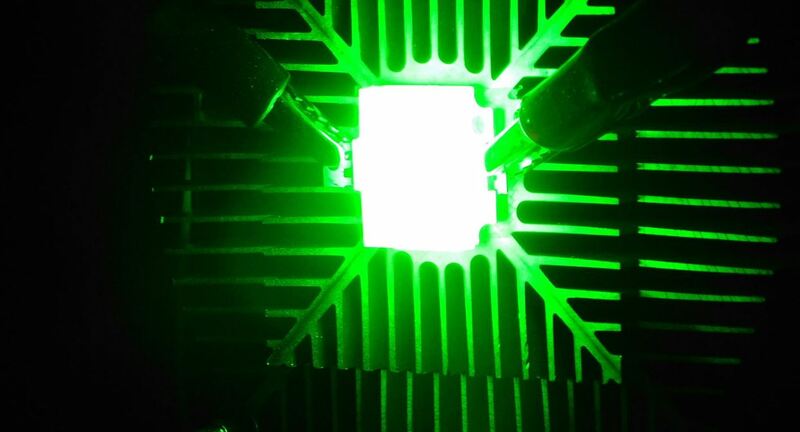 Scientists at Queen’s have been working as part of an international team to develop a new process which could lead to a new generation of high-definition (HD), paving the way for brighter, lighter and more energy efficient TVs and smart devices. The Queen’s scientists have been working alongside a team of experts from Switzerland (ETH Zurich, Empa-Swiss Federal Laboratories for Materials Science and Technology), USA (Florida State University) and Taiwan (National Taiwan University of Science and Technology, National Synchrotron Radiation Research Centre). The team’s findings, which have been reported in Science Advances, reveal that when quantum dots – tiny flecks of semiconductor that are prized for their crisp colours – are clustered together they are more fluorescent, providing a wide variety of colours. Through the project, quantum dots containing methylammonium lead bromine (MAPbBr3) were created. The experts found that by creating lamellar structures – fine layers, alternating between different materials – the human eye's response to the visible light was very high. This means that the material re-emitted a lot of the light that it absorbed and very bright colours were created. The team have named this process aggregation-induced emission (AIE). The Queen’s team is led by Dr Elton Santos from the School of Mathematics and Physics, who said: “Through this research discovery, we anticipate that the number of colours a display can present can be increased more than 50 per cent. Dr Santos added: “This AIE process can revolutionise the quality of the colours in TVs because the base colours are red, blue and green. Using AIE we can create the brightest green colour ever achieved by any nanomaterial. Once this bright green is integrated with the other two colours, the number of new colour combinations could exceed what is currently possible. The researchers are currently looking for similar processes for blue and red colours so that they can create the ‘holy-grail’ of screen displays, which would replicate all of the colours that can be captured by the human eye. Media inquiries to Emma Gallagher at Queen’s University Communications Office tel: +44 (0)28 9097 5384.